Back again for another quick update. 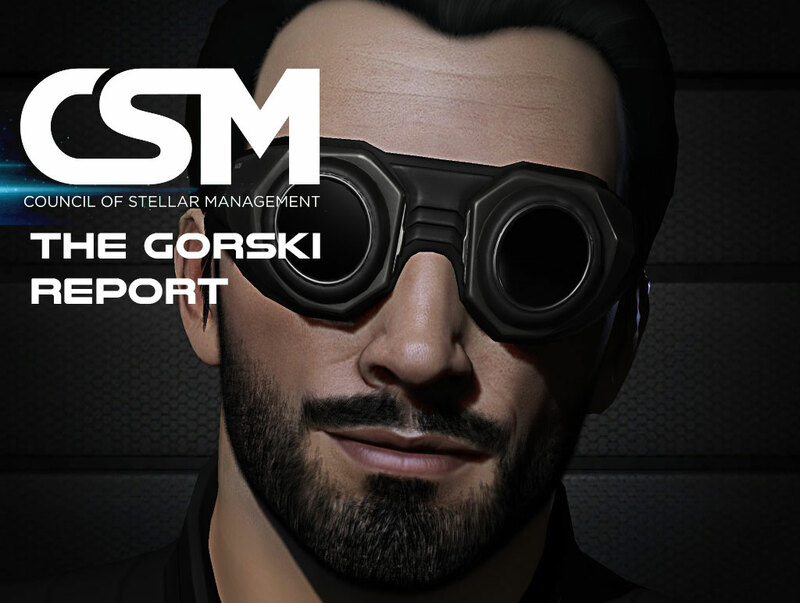 This is my second week on the CSM, and we have had some interesting things happen this week. The sov part of Aegis was deployed, and while I don’t take part in the whole sov-holding business, I can comment on what I feel about it from my small-gang perspective. In short, I think it is awesome. It is way easier to get a fight now in 0.0, and you can borderline force fights to happen. I know that there have been some complaints from the guys who are more invested into living in 0.0 space, and I am sure the other CSM members who are more experienced than me will give CCP feedback about that. CCP also decided to make all timers everywhere public and Lucia Denniard from Pizza was quick to put them up. This is another thing I can see people getting very upset about since it makes third partying extremely easy, but I wonder just how big of a deal it will be. Most people already know about timers, and I don’t really think that it is realistic to expect every single timer to get third partied all over the galaxy. Removing the API endpoint would also force CCP to get rid of a lot of information visible in the client. For me, this is one of those things that greatly benefits my style of play, especially since I live in Thera. Being able to see that I have a timer in one hour that is one jump from an exit WH means that I can almost certainly expect a fight there. During day 2 of Aegis sov, we got some extended downtime, and the servers crashed. The downtime lasted pretty much the entire day for me, which was spent moderating Reddit for shitposts on how EVE was kill and listening to the NCdot teamspeak that opened up. A lot of people showed up, including CCP Falcon, Foxfour and Leeloo, and it was a lot of fun. CCP Falcon hinted about a dev blog, and I am looking forward to seeing what went wrong. CCP did compensate by giving out 50k free skill points, so that’s nice. My suggestions this week have been pretty focused on the NPE. I posted something small about increasing the starting skill points for new characters to around one million. Ideally, I would want new players to start with these skills already trained: I know some people are going to complain that giving new characters a skill at V is unnecessary and that it would be better to just remove the skill, but I am pretty sure that it is easier coding-wise to do it this way. I have also started a second account with a new alt and am running through the tutorial/opportunities stuff, seeing how it is to start the game today compared to when I began. Another small change to the skill tree I’d like to see is an alteration to Advanced Weapon Upgrades. I would rename it to Weapon Power Grid Upgrades, reduce it to a rank 2 skill and change the prerequisites to match that of Weapon Upgrades. Then, simply rename Weapon Upgrades to Weapon CPU Upgrades. Skill points would obviously be refunded for reducing the rank on AWU. In case you hadn’t noticed, the standings requirement for creating jump clones was removed in this patch as well. This has been confirmed as a bug by CCP, but I think that this is one of those instances where a bug turns out to be something better for the game. It actually removed the annoying requirements for creating the jump clones, already easily bypassed using corps like Estel Arador or going to 0.0 and docking in a freeport station. There is some concern, though, about removing another use for the rorqual, and I definitely agree that the ship is in dire need of a rework and a new role. I also talked a bit with Mizhir from Camel Empire about the epic arcs and how awesome they are despite being PvE. I remember very well the feeling of achievement after completing the Sisters of Eve arc as a new player and then with the Angel arc that gave me a great introduction to nullsec as a more experienced player. I would definitely want to know if CCP have some plans to create more of this content, and I will ask at the summit. I am going to spend the next week on vacation in Vienna and hopefully relax a bit from EVE. Unfortunately, I know that this will be a bit problematic, especially with this awesome Slack app for my phone.